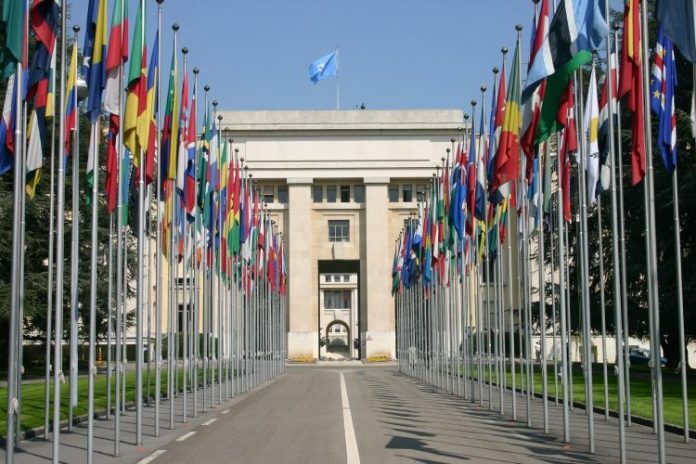 IHRC has successfully concluded events at the UN to raise awareness at policy levels for anti-Muslim and anti-minority hate crime in Europe. Arzu Merali (IHRC Head of Research) introduced the Environment of Hate, the book she co-authored with Saied Reza Ameli analysing the alarming rise of multi-layered discrimination against Muslims in Europe. The pair have also carried out similar work on the same issue in other European settings including France. IHRC’s Head of Advocacy Abed Choudhury spoke on the operation of the ‘Prevent’ policy and the ‘Countering Violent Extremism’ strategy in the UK and how they formed part of a hate policy and hate ideology that creates the Environment of Hate in which anti-minority attacks. The event in Geneva on 29 September was part of a Europe-wide launch of the report and followed a similar presentation at the European Parliament in Brussels on 27 September. Panel discussions brought together experts, academics, civil society organisations, EU institutions and European Muslim human rights activists. Amongst other things they discussed how to have an intersectional approach to discrimination and hate crime and how to improve the implementation of non-discrimination legislation.